Northern Ireland. Think about discovering her sights and sounds. It’s truly a hidden gem, and the place many Americans have their roots. Belfast is the capital and largest city in Northern Ireland. It is a banquet of lovely gardens and neighborhoods, sublime Victorian homes and buildings. There are extraordinary museums, great shopping and plenty of pubs filled with trad music and banter. After all the hum and surprises that the big city has to offer, you might want to wind down and head to the countryside. Northern Ireland has one of the strangest and most exciting coastlines in the world. 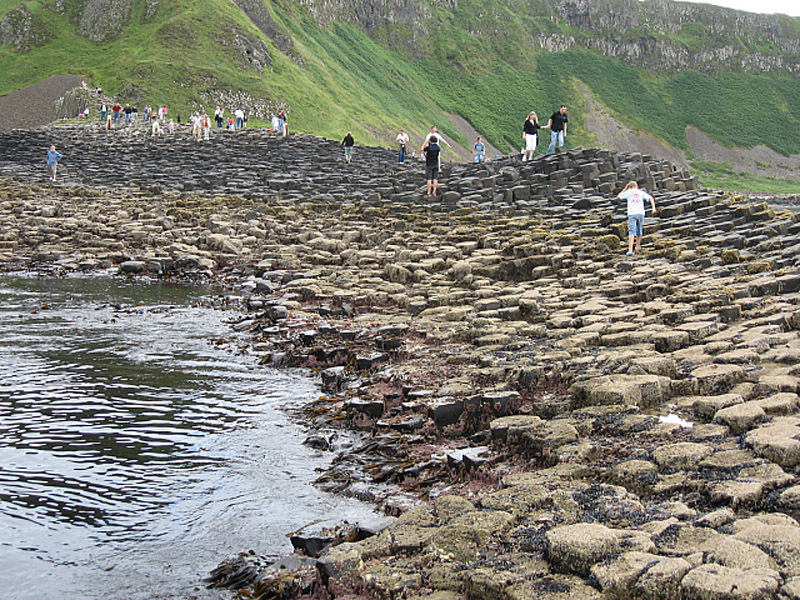 Explore the volcanic Giant’s Causeway. It’s made of 37,000 basalt columns running straight into the sea. And, under the water, it leads to Scotland. Many ancient tales surround the Giant’s Causeway. How many are true? There’s simply no way to know for sure, but let your imagination fly. You’ll also want to explore the nine Glens of Antrim and experience the Mountains of Mourne sweeping down to the sea. And, a ramble through wild and gorgeous Donegal is a must, as is the serene Lake Country of Fermanagh. Ireland is emerging unified, its troubles healed, its beauty and mystery made whole.